The Lawrence Bed puts a contemporary spin on the classic upholstered bed, bringing back balanced proportions and adding the kind of constructive details that speak volumes about the company’s ability to deliver design and masterful craftsmanship. 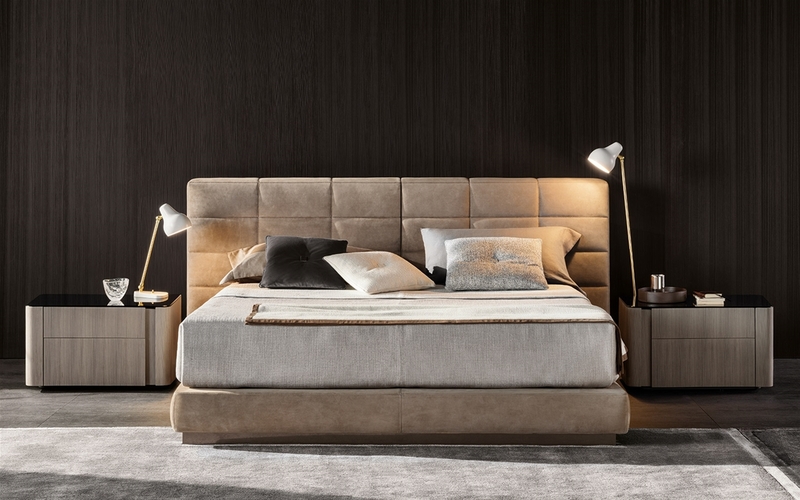 The padded headboard is divided into two separate elements that come in two different heights and three widths, opening the door to creative freedom in designing symmetrical and asymmetrical configurations and making bold choices in upholstery combinations. 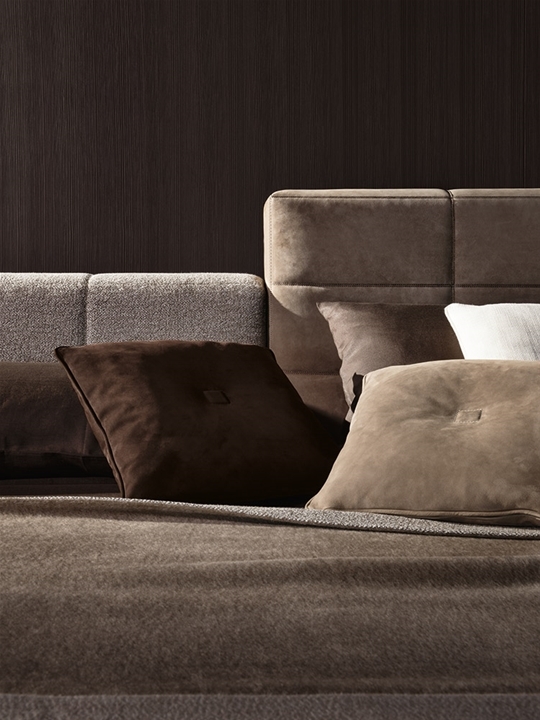 The Lawrence Bed headboard upholstery is completely removable and features elegant stitching in a modern, graphic pattern of squares. 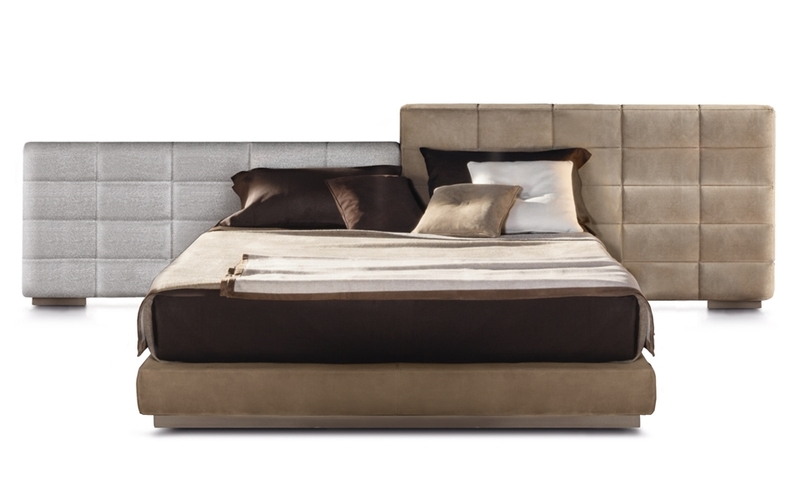 The base of the bed is a box spring that, thanks to the vast number of pocketed springs, ensures optimal sleep quality.